The installer that ran when you downloaded this app/plug-in from Autodesk App Store has already installed the app/plug-in. You may need to restart Autodesk Product to activate the plug-in. To uninstall this plug-in, you can run the installer again, or click Control Panel > Programs > Programs and Features (Windows 7/8/8.1/10) or Control Panel > Add or Remove Programs, and uninstall as you would any other application from your system. 1. Bug fixed related to Assembly tree structure. 1. 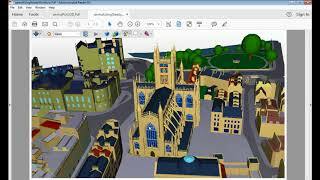 Assembly tree structure is properly added to 3D PDF. Every node of Navisworks Assembly tree is similar in 3D PDF. 2. Now conversion takes less time. 1. Option to add property to PDF. 1. Resolved issue of incorrect color on some parts 2. Solved issue of Navisworks crash in some cases. 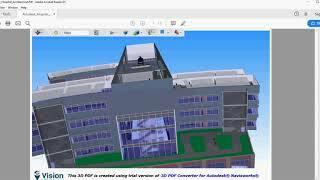 Convert Navisworks model to 3D PDF format.